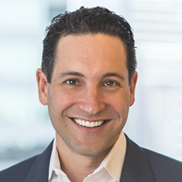 Jeremy Perelman - J. Goldman & Co., L.P.
Jeremy focuses on the Retail & Restaurant Sectors at the Firm. He joined the Firm in November 2001 as an Analyst and became a Portfolio Manager in 2004. Jeremy became a Partner of the Firm in 2014. Prior to joining the Firm, he was an Associate at Bear Stearns & Co. from 2000-2001. Jeremy is a member of the International Council of Shopping Centers. Jeremy received a B.A. in International Political Economy, with a minor in Finance from Tulane University.